Another freebie for you, this time it is a little topper to use for Valentine's day, Birthdays or Anniversaries. Hope you find it useful. 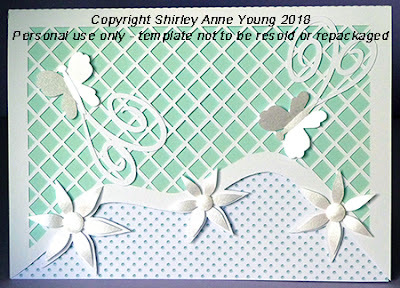 Many thanks for all your comments re the heart card, I hope you like this one too.The card comprises of the base card, embellishments and an insert for behind the lattice to add some colour. 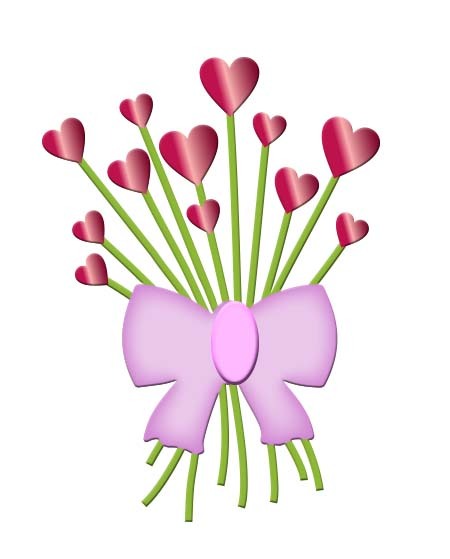 This is another card which can be used for several occasions by adding an appropriate sentiment and different embellishments rather than the butterflies.